The agreement follows the Brazilian company’s 75 per cent majority investment in December 2011, from the Grenda family, who founded the company in 1977. Volgren’s Chief Executive Officer Peter Dale says the announcement is a vote of confidence in the company’s local operations, its people, products and potential for growth. 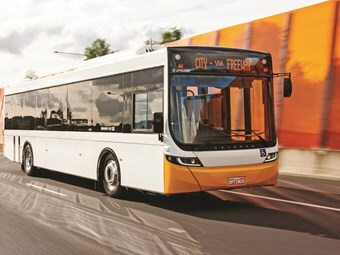 "Since acquiring a majority stake in 2011, the two companies have developed a close alignment through our people, values and a desire to design and manufacture the best possible bus bodies," he says. "Marcopolo is one of the largest bus body manufacturers in the world, and for Volgren, that means we have access to the latest technology, designs and advanced manufacturing systems." The full acquisition is part of Marcopolo's growth strategy and represents an important step in the company’s geographical expansion plans within the Asia-Pacific region. Dale says with the backing of Marcopolo, Volgren is in a strong position to support its domestic customers plus increase exports to Asia, especially Japan, where it now supplies articulated buses to three operators, including Nishitetsu Railway Company, Japan’s largest bus operator. "We see enormous potential throughout Asia and, with the backing of Marcopolo, we’re in a great position to get more involved in global markets and value chains," Dale says. "While today marks the next step in the growth of Volgren, we would not be where we are today without the foresight, strong values and support of the Grenda family. To the Grendas we say thank you for creating such a strong base for us to continue to build upon."